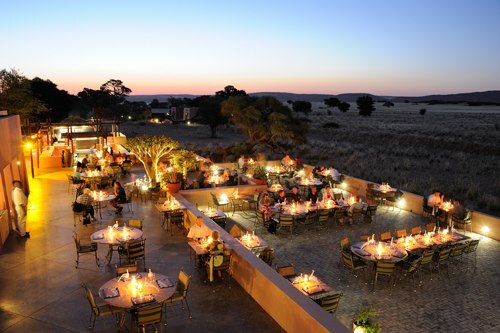 Enjoy a gourmet dinner while watching the sun set as it only can in Africa. Sossusvlei Lodge offers great, imaginative dishes at competitive prices. The restaurant overlooks a beautiful waterhole that ensures interesting 'dinner guests' almost all the time. A desert dinner par excelance. Sossuvlei Lodge Restaurant is 0.1km from the centre of Hardap , the nearest airport 219.6km (Keetmanshoop Airport).